Why take the chance and let these unwanted pests attack your family, pets, and friends this summer season? Enroll in The Lawn Control Centers’ Flea and Tick Stop System today. Ticks—they are sneaky, small, have an appetite for blood and sometimes carry disease. Ticks are no fun at all, but knowing a little bit about these parasites can help you avoid them. humid place with animal life will likely have ticks. Once a victim brushes against them, they will climb aboard and start to chow down. Some ticks may crawl around the surface of the skin as they try to find thin skin. Others will sink their (tiny) teeth into the first flesh they can find in their quest for blood. remover. If this is not possible, the next best option is to carefully pull it off with tweezers. Special care should be taken to NOT squeeze the tick and risk having it rupture. As mentioned, ticks sometimes carry harmful diseases. If the tick bursts, you run the risk of having tick-juice deposited into the host’s bloodstream. Not an appealing scenario. Dealing with ticks is one of the few drawbacks of a summertime outdoors. A little vigilance goes a long way towards avoiding these nasty guys. When enjoying nature, high socks, prompt bathing, and overall inspection of yourself and your pets are healthy habits that will keep you from becoming a feast. 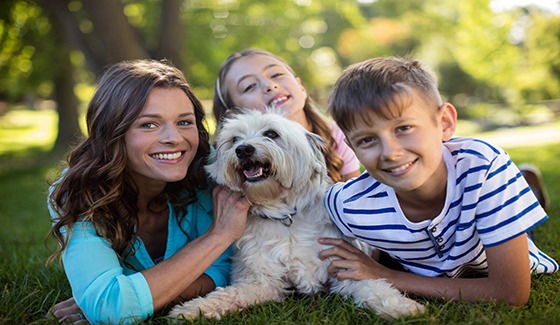 If you want to do all you can to protect you, your family, pets, and home from ticks and fleas, schedule our flea and tick control services.